Mrs. Mary T. Carroll, 83 years old, died Friday afternoon at the home of her daughter, Mrs. Orlando Sprague at Independence, Mo. 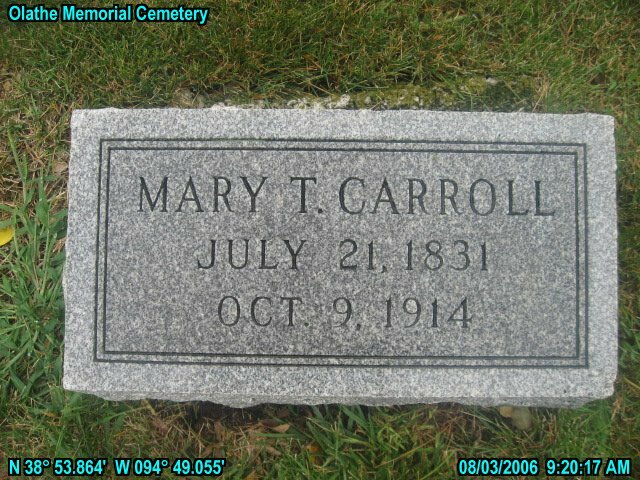 Her husband, Prof. A. Carroll was formerly superintendent of schools of Olathe, and upon his death seven years ago in Indepedence was brought here for burial. 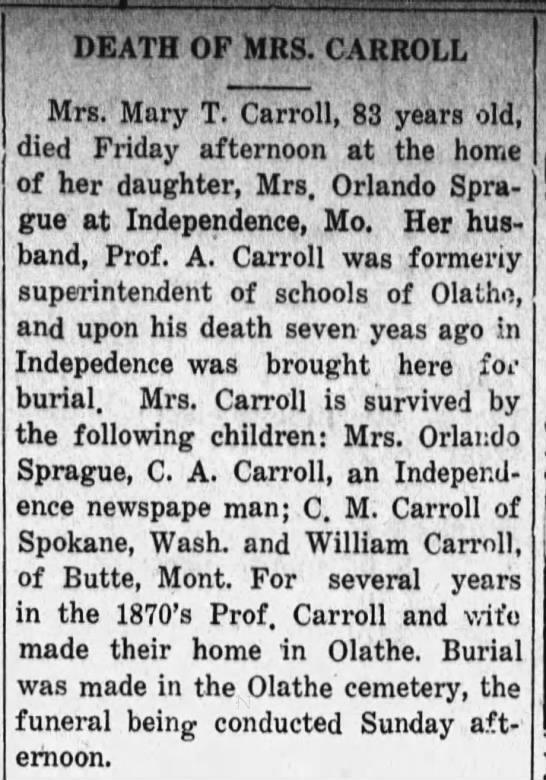 Mrs. Carroll is survived by the following children: Mrs. Orlando Sprague, C. A. Carroll, an Independence newspaper man; C. M. Carroll of Spokane, Wash, and William Carroll, of Butte, Mont. For several years in the 1870's Prof. Carroll and wife made their home in Olathe. Burial was made in the Olathe cemetery, the funeral being conducted Sunday afternoon. Please share your memories of Mary T..